The Green New Deal: This policy would fundamentally transform the U.S. economy in a socialist direction. It would force American households and small businesses to transition to far more expensive and unreliable energy sources. This would act as a major new tax, raising prices, reducing disposable income, and acting as a major drag on the economy. Eliminating plane travel would significantly reduce interstate commerce. Guaranteed jobs and guaranteed housing, which are also features of the plan, are pillars of socialism that have never worked in practice. "Make work" jobs shift resources away from productive uses in order to pay for them. And even liberal cities have spiked public housing initiatives in recent years as the social dysfunction and criminality they incubate and radiate have become obvious. The American Action Forum estimates the GND would roughly quadruple the size of the national debt. Medicare for All: Medicare for All, which is also a facet of the GND, would nationalize the healthcare system. This would create healthcare shortages and rationing because demand would increase and doctor supply would decrease. Government bureaucrats, not doctors and medical entrepreneurs, would determine healthcare policies and procedures, limiting much-needed medical advancement. Even liberal states like Vermont and California abandoned state socialized healthcare initiatives after recognizing that the tab would blow up their state budgets and economies. Medicare for All would cost an estimated $32.6 trillion over 10 years, which even the doubling of corporate and income taxes could not cover. Chasing Amazon from NYC: AOC led the pitchfork brigade against Amazon's second headquarters in New York, costing the city 25,000 new jobs, $4 billion in annual wages, and $12 billion in lost economic activity. 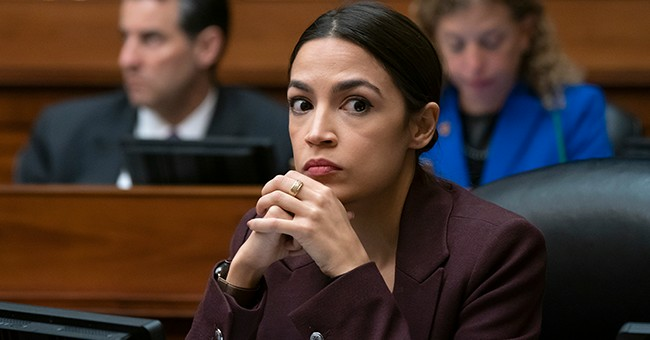 AOC's chief complaint was that Amazon received $3 billion in state and local tax offsets, which she claimed meant that New York would receive “less" tax revenue from the deal. In reality, of course, this $3 billion would have been in return for $30 billion in new tax revenue -- a mere 10 percent discount. Taxpayers would have still come out about $27 billion ahead. Thanks to AOC, they now get nothing. Super High Tax Rates: AOC has called for 70 percent marginal tax rates. As blue states like her native New York are learning the hard way, high taxes chase away wealth and opportunity. According to Census data, New York has lost 1.2 million net domestic residents, many of whom are high earners, since 2010. Uncompetitive federal tax rates would similarly chase wealth and economic activity abroad. Among those funds that remain in the U.S., such high tax rates would amount to a massive hoovering up of productive investment capital -- much of which would be destroyed or wasted by the government. Private investment and consumption are responsible for improvements in standards of living, new projects, and economic development. If that money is extracted from communities across the country to pay for growing layers of bureaucracy and government projects like California bullet trains to nowhere and $2,000 lightbulb installations, the economy would contract significantly. $15 Minimum Wage: A $15 minimum wage that AOC has championed would dramatically increase labor costs and swamp the tiny profit margins for many small businesses. Take the restaurant industry, which is the nation's largest employer, employing more than half of all minimum wage employees, where profit margins pivot around 3 percent. With labor making up around one-third of restaurants' operating costs, doubling entry-level labor costs with a $15 entry-level wage would make many restaurants unprofitable. Countless small businesses in states such as New York and California that have already passed $15 minimum wages have been forced to lay off staff, cut hours, or close entirely as a direct result. The employment damage of a $15 entry-level wage would be even worse in poorer states like West Virginia and Mississippi, where the median wages are just $15.16 and $14.46, respectively. Support for such economically ignorant policies put forth by AOC is proof that schools and the media have failed to educate a generation about basic economic principles. Can anything be done? Employers should step up and fill the void. Employers are one of the few groups of people who can still command the respect and attention of younger generations. And employers can draw on real-world workplace concepts to get basic points across about the roles that supply, demand, prices, taxes, and regulations have on the bottom line and paychecks. Such employer-to-employee education can take many forms but its overriding message should be the truth missing in the rest of mainstream society today: Capitalism creates, socialism takes.